Charles Winter is a spymaster. One of the leaders of MI-6, Winter earned his reputation during the Second World War. An officer in the British Army, part of the group narrowing avoiding capture at Dunkirk, he quickly moved into the Intelligence community. Though he had no prior training, he impressed his seniors with his drive and his inate talent, eventually turning numerous people into double agents against the Abwehr. When the war ended, Winter stayed with British Intelligence and rose in rank in MI-6. Along the way, he met and married Geraldine, a woman from the gentry class whose financial standings were not as they once were. Though not rich, the couple were able to maintain a better than decent life style. They lived in a very nice large manor and Winter drove a fast Jaguar. The two were hardly a match made in heaven. Both were of very strong, demanding personalities and the clashes were, in their minds, impressive. Despite creating a beautiful daughter, Amanda, their marriage, though it did not end, was always a rough one. Winter wonders on more than one occasion if the work stress disrupted the family or if the disruption of the family caused him to work so hard. The two-book series concerning the activity of this spymaster deals with two interesting periods in American cold-war history and how they affected British life, and how the British MI-6 played a part in adjusting American foreign policy. Winter is a die-hard Brit, loyal to the government and willing to do whatever he feels is necessary to protect her, even if it means blackmailing an American President. He might find that regrettable but he would not hesitate to do it again. As war looms in 1956 in the Middle East and threatens to bring the entire world into it, American attention is being pulled to evidence showing Eisenhower's wartime romance with his female drive might still be going on. Charles Winter doesn't like the direction the situation is headed. It is 1962 and America is blockading Cuba to force Soviet missile withdrawal. A British double agent is found murdered and his wife is also attacked. Charles Winter wants to talk with the KGB operative controlling the agent, a man who has just defected to America, but the CIA has its own reasons for denying the meet. Mr. Egleton did not write bad spy craft. He never wrote a bad book that I ever heard. His novels are consistently interesting, tight, and compelling. These two books prove that. The character of Charles Winter is fascinating to watch as he proves to be insightful and ruthless, just the sort of man you'd want running an espionage department. The machinations of Winter can be a bit tricky to follow, which is half the fun, but readers are recommended to not try to breeze through these books. Knowing all the players is useful in figuring out who might do what and, at the end, what just happened. 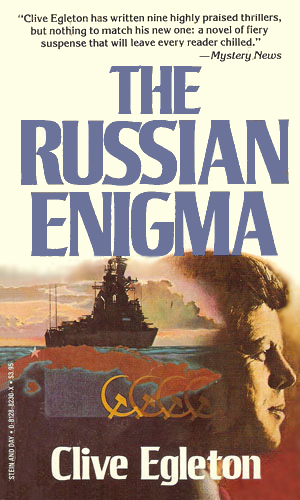 My first exposure to this series was The Russian Enigma. It was one of my first foray into high brow British spy novels. 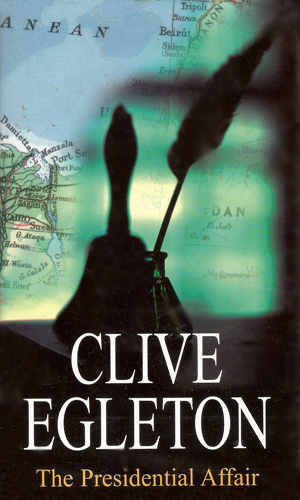 Before I read Deighton and LA Carre I tried Egleton...and loved it. I really liked the twist at the end of The Russian Enigma.